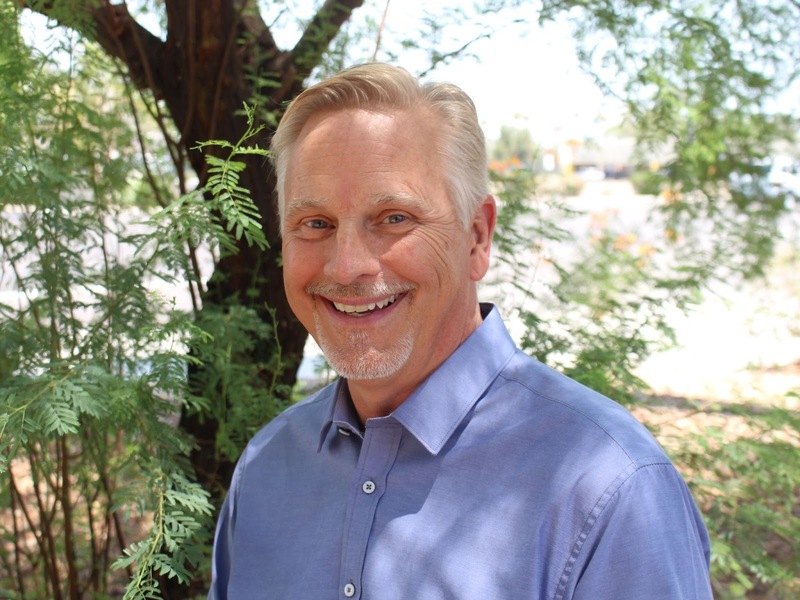 Rio Salado's Faculty Chair for Addictions and Substance Use Disorders Kirk Bowden was elected to the Board of Directors of the American Psychological Association's Society of Addiction Psychology. The group works to promote advances in research, professional training, and clinical practice within the broad range of addictive behaviors. Dr. Bowden was elected to serve as the board member-at-large for science. In addition to serving as a voting board member, he will serve as the liaison to the APA Science Directorate. His term runs from August 2018 through August 2021. Dr. Bowden is a well-known, national leader in the Addiction and Substance Use Disorders field. Bowden works with a team of Rio Salado faculty, who are also experts in the field, to create engaging educational content to help professionals stay relevant, informed and connected. Learn more about Dr. Bowden in these RioNews stories. Rio Salado is one of Arizona’s top educators of addictions counseling professionals, offering online classes, certificates and an associate degree in Addictions and Substance Use Disorders. For more information about Rio Salado’s Behavioral Health/Addictions and Substance Use Disorders programs, visit www.riosalado.edu/ASD or call an academic advisor at 480-517-8580. Successful Students Engage! We encourage you to get involved in Rio Salado and Maricopa Community Colleges student life activities! By taking part, you’ll increase your chances for success in the classroom, develop life and career-building skills, meet and network with other students and community members and help make a difference in other peoples' lives. 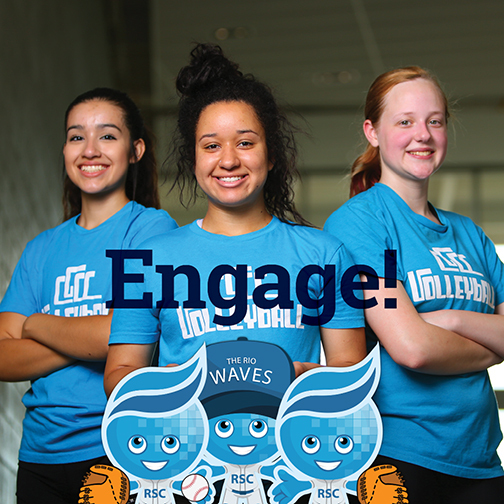 Learn about the enriching opportunities available to Rio Waves by visiting this web page. 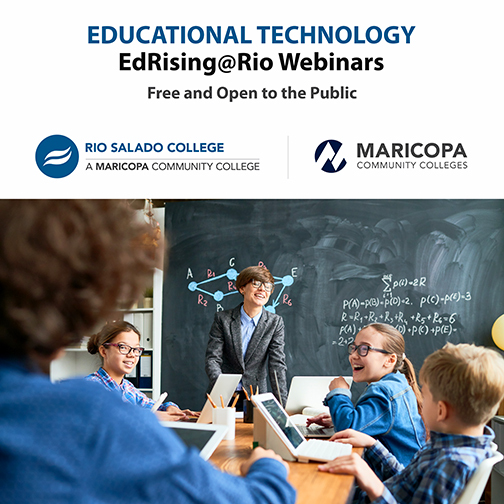 Take advantage of a free Educational Technology webinar session hosted by Rio Salado’s Teacher Education team, Fostering Digital Citizenship, on Wed. Aug. 29! This interactive webinar is free for teachers, Rio Salado and Maricopa Community Colleges students and the public. Content is aligned to educator standards from the International Society of Technology in Education (ISTE) and includes hands-on activities and resources for further exploration. 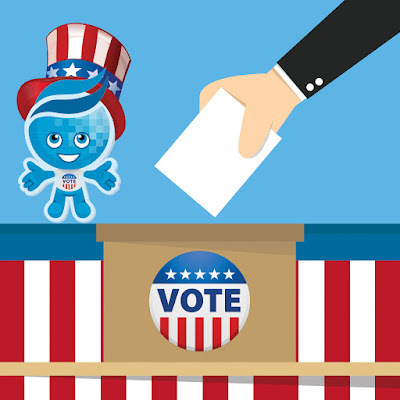 Vote in Today's Arizona Primary! 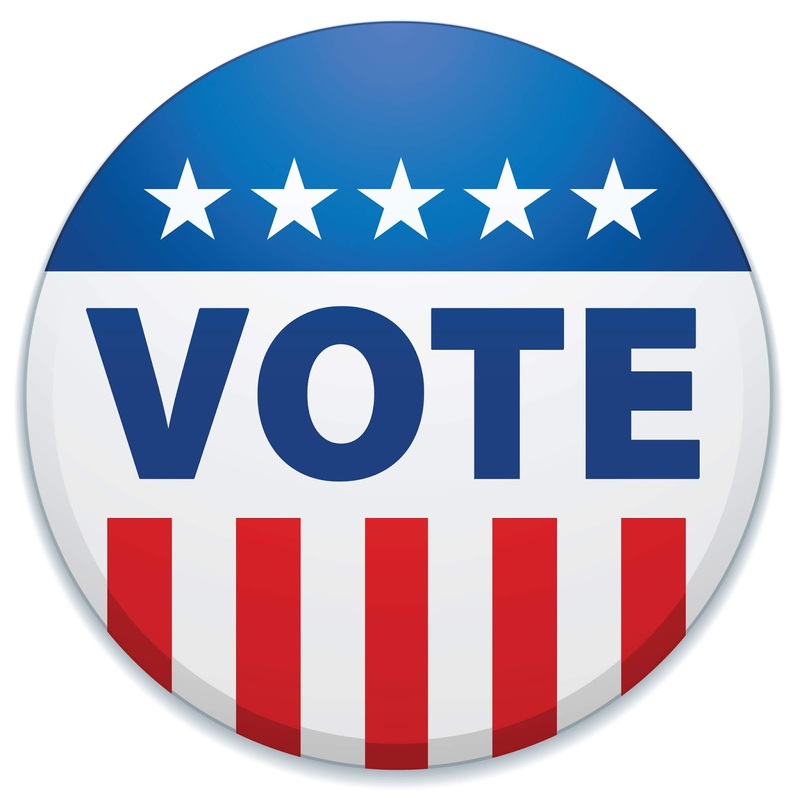 You still have time to cast your vote in today's Arizona Primary! Find your polling place at arizona.vote. Make a Difference. Cast Your Vote! Tomorrow is the big day! Be a good citizen and cast your vote in the Arizona Primary. Where do you vote in Maricopa County? 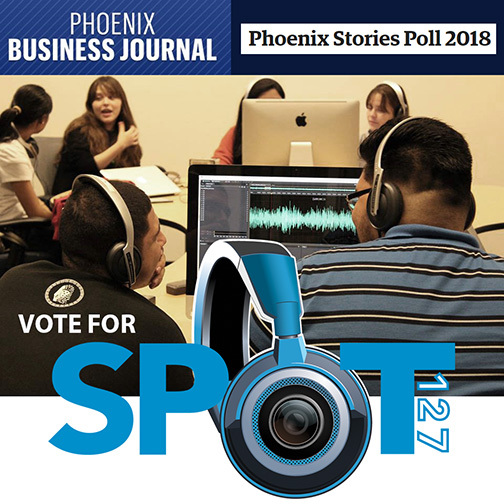 Tune into KJZZ Phoenix for the latest election coverage! 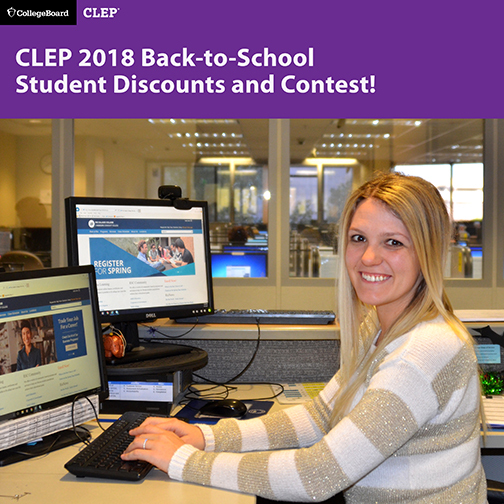 CLEP Back-to-School Discounts & Contest! College Board College-Level Examination Program (CLEP) test-takers can benefit from a 20% discount on the proctoring fee for all CLEP tests taken at Rio Salado College Testing Centers between now and Sept 30 as part of CLEP’s Back-to-School 2018 celebration. Take Part in Student Success Story Contest! CLEP will award a $500 gift card to a test-taker with the most unique student success story during this back-to-school celebration! CLEP student success story submissions, which can include narratives, images and videos, should be sent to clep@collegeboard.org by Friday Oct. 5, 2018. To learn more about this contest, visit this CLEP web page. CLEP will also recognize college testing centers which achieve the highest number of CLEP exams administered nationally, the highest number of CLEP exams administered to DANTES funded candidates and other achievements. 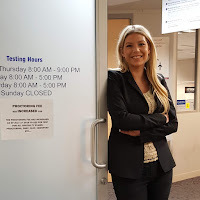 They test a student’s proficiency in a field of study and give students a chance to earn college credits for what they already know. For example, Spanish CLEP test-takers can earn up to 16 college credits. 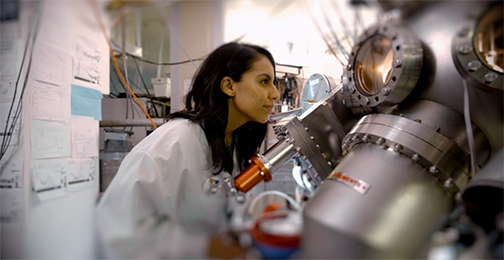 There are 33 different examinations, which are accepted by more than 2,900 colleges and universities. 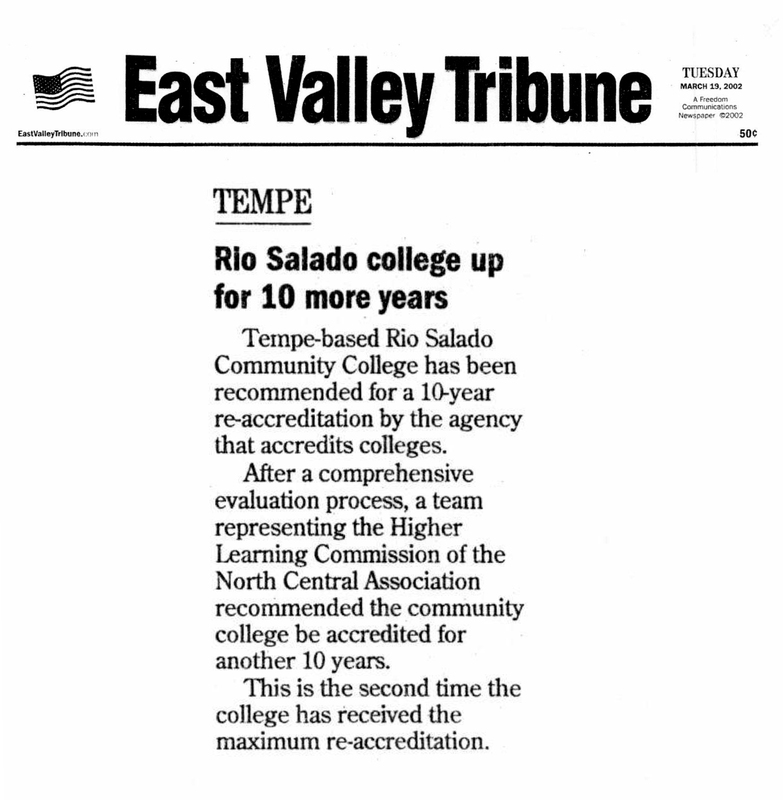 The College Board has recognized Rio Salado as a Top 100 CLEP® testing center since 2002. Learn more about CLEP exams and the services available to you at Rio Salado’s Testing Centers by visiting: www.riosalado.edu/testing. 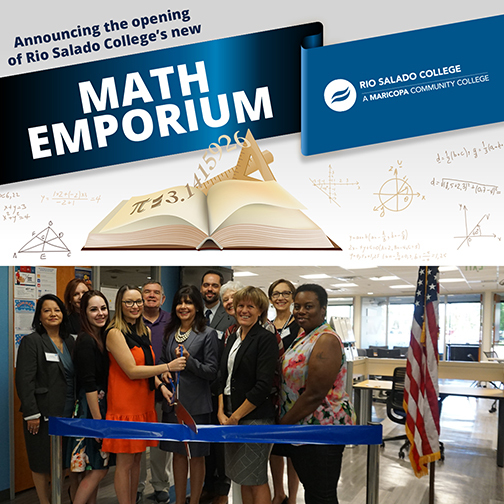 Rio Salado College celebrated the opening of its new Math Emporium in Central Phoenix during a ribbon-cutting ceremony hosted Friday, Aug. 24. 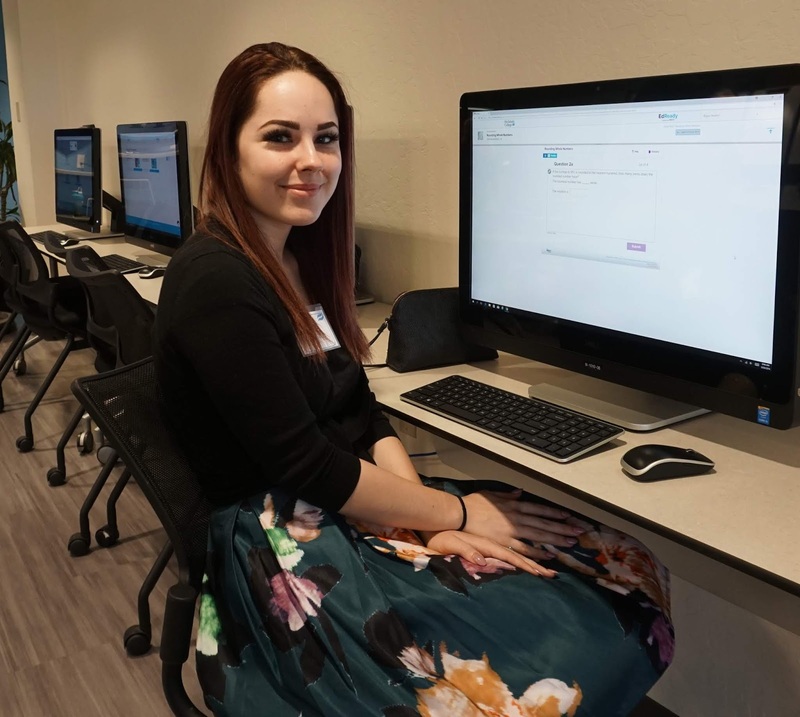 The Math Emporium is a first-of-its-kind center designed to help Maricopa Community Colleges students succeed in mathematics. 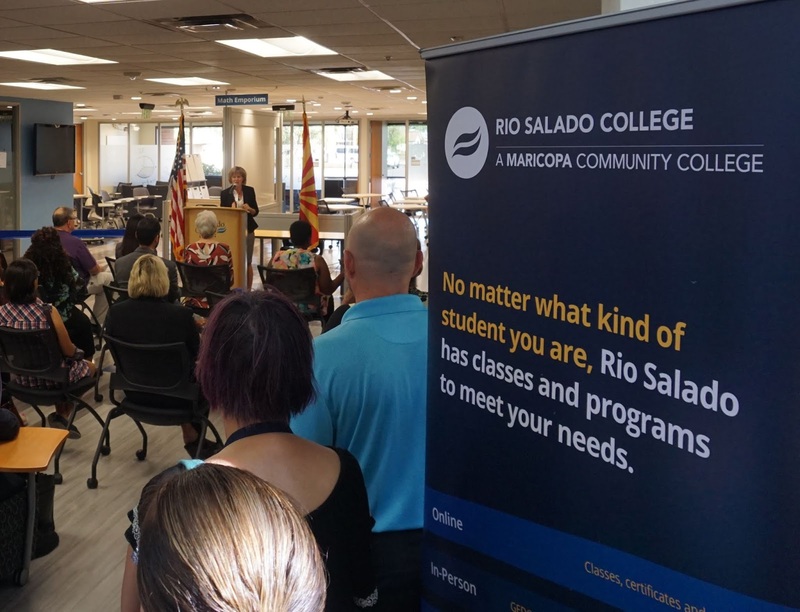 “Today we celebrate the opening of a center that will help students succeed in math," said Rio Salado College President Kate Smith. “This informal center will provide resources for students to brush up on their math skills, prepare for college-level coursework or find support for upper level math classes. At the emporium, students can meet with tutors, peers, or work on their own; to access resources which will help them increase in confidence and success." The cozy, café-style center was designed to create a non-traditional, less intimidating environment that makes it more conducive for learning. Students will receive personalized attention from a math concierge who acts as a tutor, small group presenter and coach in an effort to provide a dynamic, innovative learning experience. Students will have access to computers and cutting-edge learning software including a subscription for EdReady instructional software, which helps students progress at their own pace and achieve defined learning outcomes. Each of the Maricopa Community Colleges will have the ability to track their students' progress. This Math Emporium is aligned with the transformation work being done throughout the Maricopa Community Colleges to help students prepare for college-level work and succeed in their courses. The Math Emporium is located at Rio Salado's Northern location, 1715 W. Northern Ave., Phoenix, AZ 85021. For additional details visit www.riosalado.edu/math-emporium. Pictured above, Maricopa Community Colleges District (MCCCD) Chancellor Maria Harper-Marinick center, with Rio Salado College President Kate Smith to her right, joined by guests at ribbon cutting. 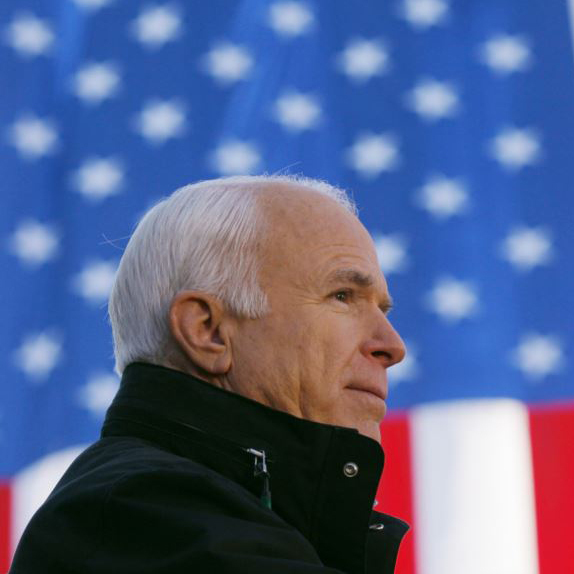 We join you in honoring the memory and service of a great American hero, John McCain. Listen to this thoughtful KJZZ memorial special, which shares sentiments and memories from family members, friends, public officials and community members. Rio Salado and the Maricopa Community Colleges will be closed for Labor Day, Monday, Sept 3. Here's to all of the hard-working students, faculty and staff who are working to achieve academic excellence! Welcome to the past! The next stop on our 40th anniversary Throwback Thursday timeline is 2003-05! 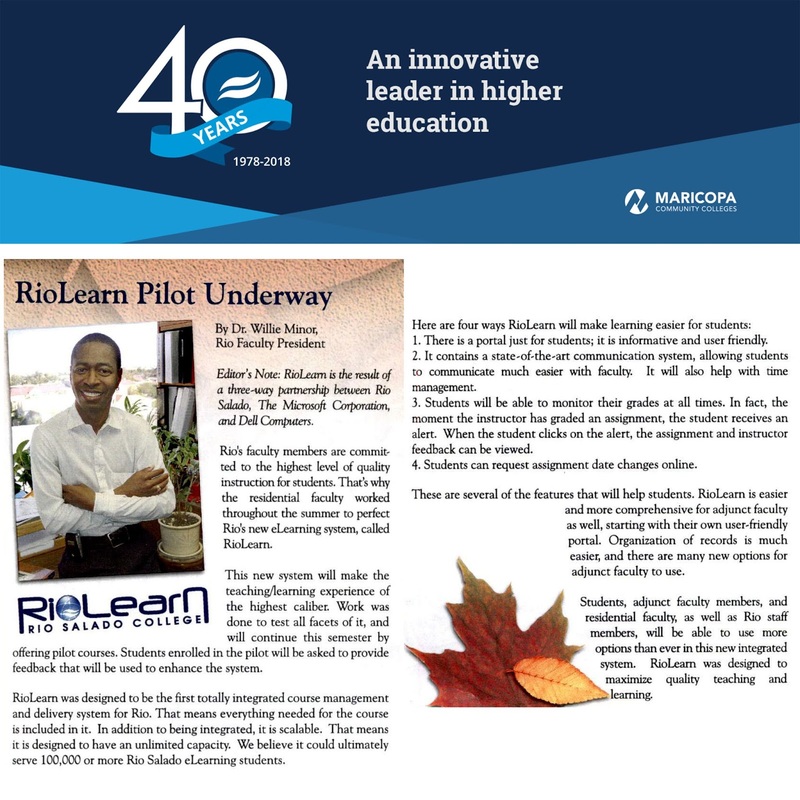 In 2004, Rio Salado College piloted RioLearn, a learning management system for students to use when taking their online classes. 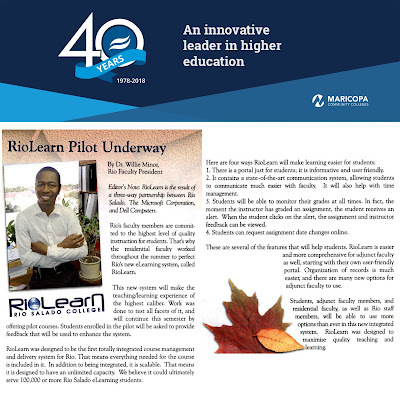 RioLearn was developed through a three-way partnership with Rio Salado, the Microsoft Corporation and Dell Computers. 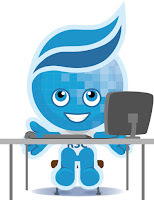 RioLearn was designed to be the first totally integrated course management and delivery system for Rio Salado, meaning everything needed for a course was included in it. Also of note in 2004, the college opened its new 13,600-square-foot Conference Center at the Rio Salado headquarters in Tempe. 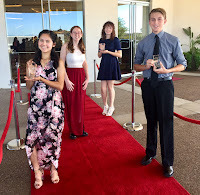 In 2005, Rio Salado's award-winning Teacher Education department launched its Teachers-in-Residence program as a new pathway to replace the need for emergency certification and help to ease the state's severe teacher shortage. 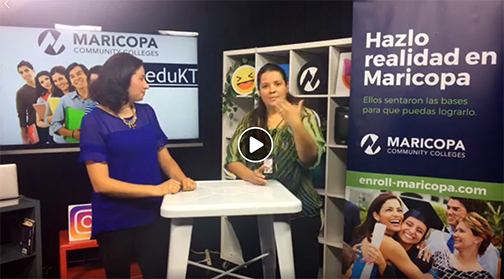 Our Manager of Early College Programs Claudia Bermudez met with Univision Arizona host Romy Bustamante to inform Spanish-speakers about Maricopa Community Colleges’ dual enrollment program, which gives teens a chance to earn college credit while in high school. 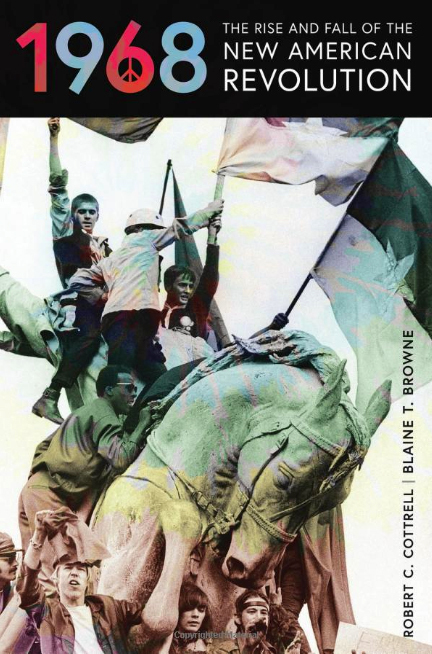 What is the best way to create and maintain safe, productive communities? 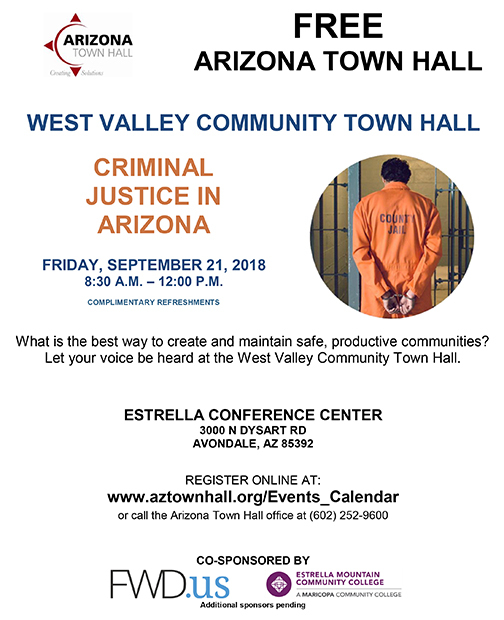 Let your voice be heard at the September 21 West Valley Community Town Hall on Criminal Justice in Arizona hosted by Arizona Town Hall and Estrella Mountain Community College. Registration is FREE and open to Maricopa Community Colleges students, staff, alumni and the public. 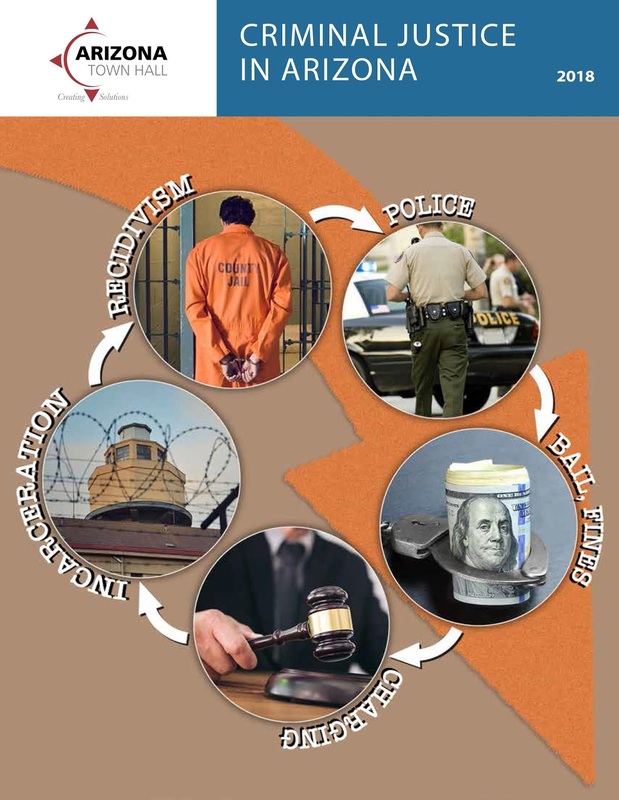 If you plan to participate or you’re interested in more information about Arizona’s criminal justice system, please review this Arizona Town Hall Background Report and fact sheet. 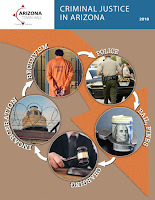 The Background Report for the 111th Arizona Town Hall was prepared by the Morrison Institute, in partnership with Arizona universities and the Arizona Town Hall Research Committee. Additional support for this event is made possible by FWD.us and the Maryvale Revitalization Corporation. Successful students take advantage of support services! We have an app for that! Download the free Maricopa Community Colleges MyInfo mobile app to get ready access to your classes, grades, financial aid and more at myinfo.maricopa.edu. 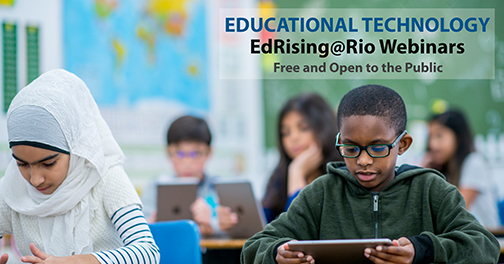 Check out our next EdRising@Rio Education Technology webinar session Conducting Online Research on Aug. 22! Welcome Back Rio Waves! Here's to Your Success! A warm welcome to all of the new and returning Rio Waves here in Tempe, Arizona, across the country and around the world! 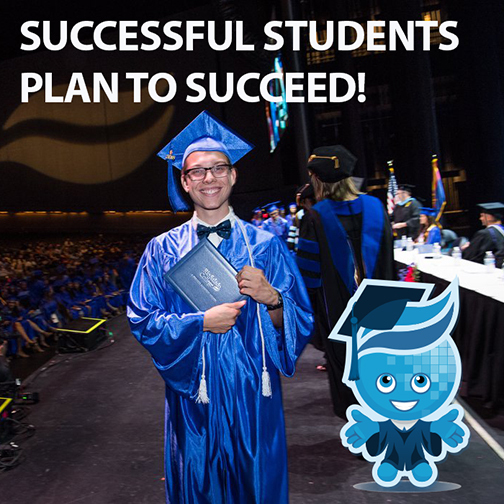 Successful students plan to succeed! Here are some student tips and resources to help you succeed this fall! Cognizant, a Fortune 500 technology company, announced its partnership with Maricopa Corporate College (MCOR) and the Maricopa Community Colleges at a ribbon-cutting ceremony at the company’s new Mesa location on Thursday, August 9. See related azcentral story. 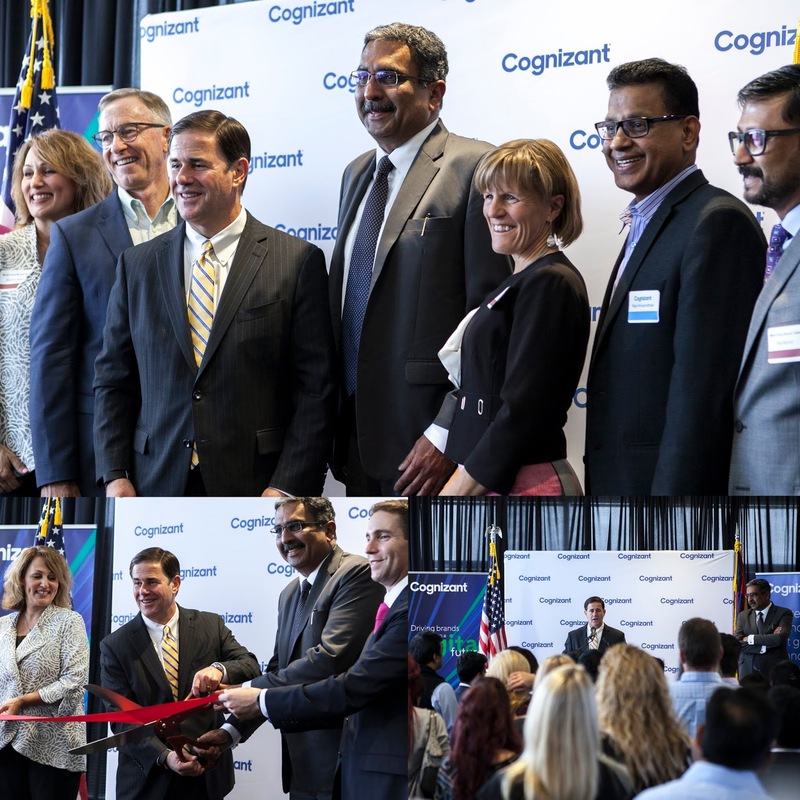 At the event, Cognizant announced that its new office will bring 500 additional jobs to the area, boosting Cognizant's Arizona workforce to nearly 3,000 employees. To help fill these positions, Cognizant partnered with MCOR to provide non-credit training to more than 250 individuals over the next year. These accelerated training programs are offered at no cost to the participant and include a guaranteed job interview with Cognizant upon successful completion. Governor Doug Ducey, Arizona Commerce Authority President and Chief Executive Officer Sandra Watson, and DK Sinha, President, Global Client Service, Cognizant were among the speakers at the August 9 ribbon-cutting event. Interim Rio Salado College President Kate Smith attended on behalf of the Maricopa Community Colleges. After the ribbon cutting, Kate Smith and MCOR Chief Operating Officer Patti O’Brien participated in a roundtable discussion on workforce needs with several major employers in Arizona. 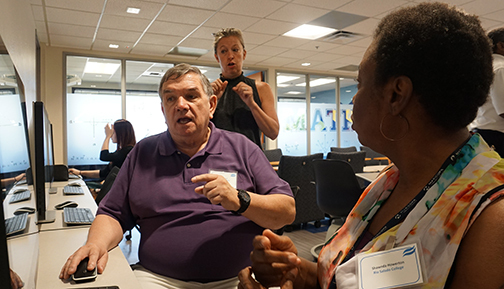 Patti O’Brien was a featured presenter at the roundtable followed by representatives from the University of Arizona and Arizona State University. 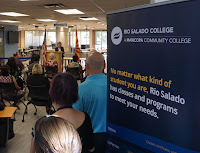 MCOR is a service of Rio Salado and the Maricopa Community Colleges. Pictured above: Rio Salado Interim President Kate Smith joins Cognizant Executive Vice President of Global Client Services DK Sinha, Arizona Governor Doug Ducey, Arizona Commerce Authority President and CEO Sandra Watson and others for a ribbon cutting ceremony at new Cognizant Mesa facility. 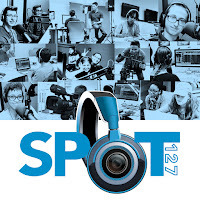 KJZZ’s youth media center SPOT 127 welcomed Matthew Myers as its new Executive Director on July 30. Myers is an award-winning educator and filmmaker who brings a wealth of knowledge to share with the students from his experiences working on feature films, television shows and documentaries for Orion Pictures, MTV, Discovery Channel, ESPN, FX Channel, Animal Planet, PBS, CBS and NBC. He has also been involved in commercial and industrial projects. Myers is a two-time Fulbright Scholar with an MFA in Screenwriting from Hollins University in Roanoke, VA. He has taught and administered undergraduate and graduate programs at universities in Indiana, Arizona, Oregon, Jordan, Dubai, England and China. At SPOT 127 students learn to produce culturally and socially relevant stories while developing new skills and increasing their digital literacy. Students recently completed an in-depth series on how to identify, avoid and recover from harm in teen dating relationships. The students have also covered the sensitive and important topics of human trafficking and bullying. Five SPOT 127 student projects have been honored as part of the Rocky Mountain Southwest Chapter National Academy of Television Arts & Sciences High School Student Awards for Excellence in the last two years. 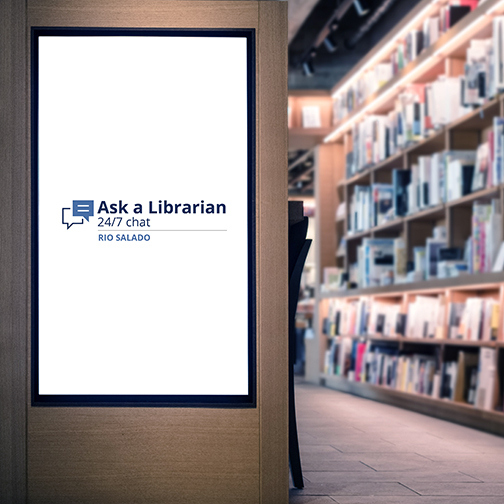 Check out the latest additions in fiction, nonfiction and DVDs at the Rio Salado Library! Need a librarian-- in the middle of the night or when most libraries are closed? Full or Cancelled Class? Stay on Track with Us! Full or cancelled class? No problem! We can help you stay on track! 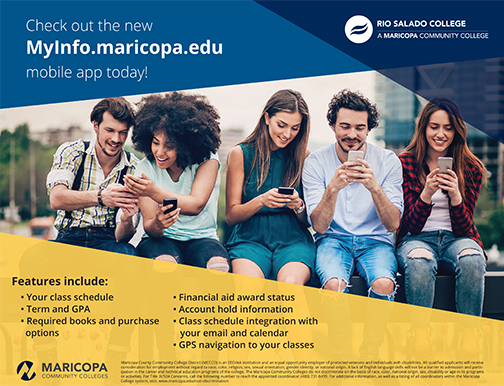 With 600+ online classes, flexible Monday start dates, 8-week and 16-week options and credits that easily transfer-- Rio Salado is a convenient and affordable option to help you complete your program of study-- on your timeline! Rio Salado is a proud member of the State Authorization Reciprocity Agreement (SARA), providing distance-education options to students in all 50 states. 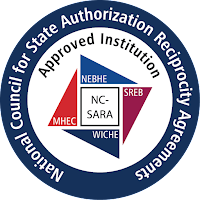 For more information about SARA and the programs and classes available in your state, visit www.riosalado.edu/about/research-planning/state-authorization. 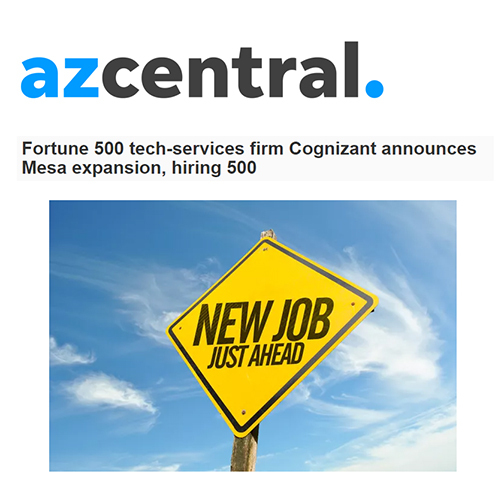 This azcentral story provides some insights into Cognizant and the employment opportunities the tech-services company will bring to the Valley. Learn about Maricopa Corporate College's FREE Software Support training program with Cognizant! Participants who complete the training will get a guaranteed interview with Cognizant. Apply now to get on the waitlist. The training program starting August 20 is full, but future start dates for fall will be announced soon! 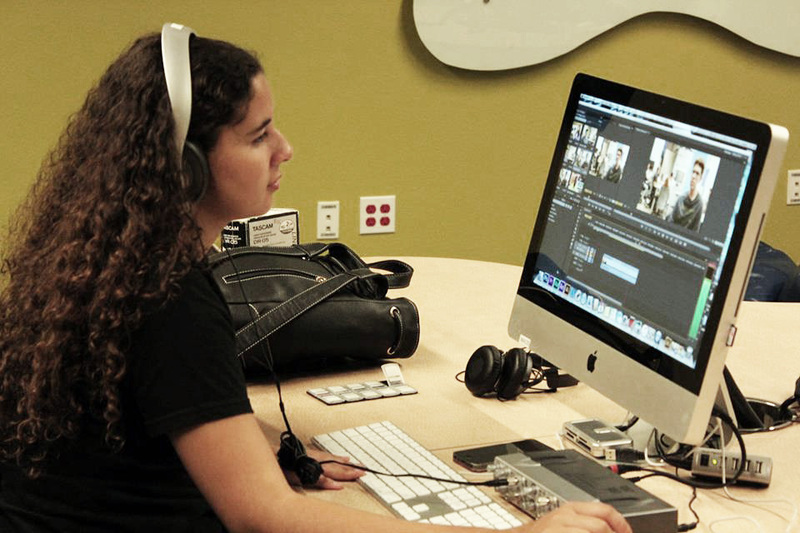 The Maricopa Corporate College is a service of Rio Salado and the Maricopa Community Colleges. Enrollment Services & More Open Aug. 18! 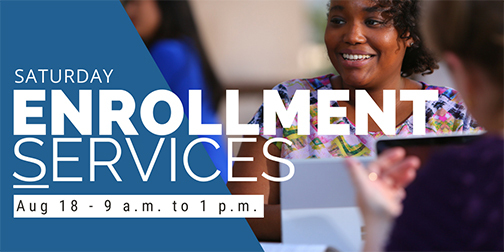 Student enrollment services will be available this Saturday, Aug. 18 at the Rio Salado Tempe headquarters and other Maricopa Community Colleges across the Valley to help you with last-minute transactions before the fall semester! The Rio Salado Tempe headquarters will provide the following student services on Saturday, Aug. 18, 9 a.m. – 1 p.m.
Nanotechnology Enrollment Deadline Aug. 27! 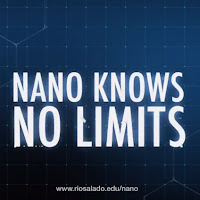 Pursue your love of science, engineering and chemistry—and apply what you learn in the workplace with Rio Salado College’s Nanotechnology Program! The deadline to apply is Aug. 27! 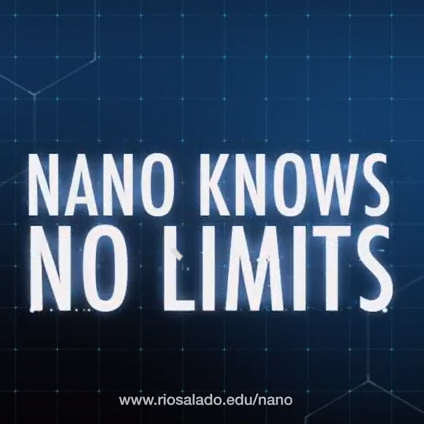 Watch this video to learn how nanotechnology can help you create your future. Welcome to the past! Our next stop on the 40th anniversary Throwback Thursday timeline is 2000-02. 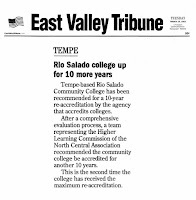 In 2000, the Higher Learning Commission of the North Central Association recommended Rio Salado College for a 10-year re-accreditation, the maximum length allowed. To help address a national shortage of teachers, Rio Salado began offering an online-based teacher certification program in August 2001. 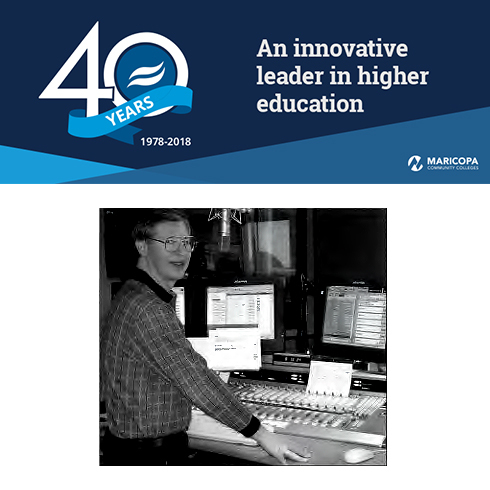 In 2002, KJZZ, KBAQ and Sun Sounds of Arizona staff moved into 19,000 square feet of renovated office space on the fourth floor of Rio Saldo's Tempe headquarters, which featured soundproof studios and state of the art broadcasting equipment. 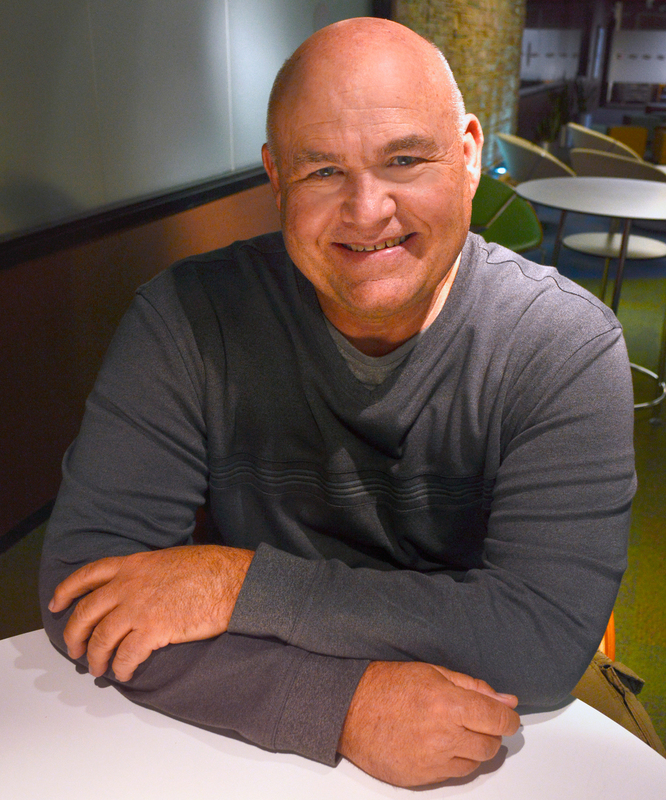 Pictured above is former KJZZ Morning Edition host Dennis Lambert in one of the new studios. Check out other historical photos and facts on our 40th Anniversary website at www.riosalado.edu/40. Do you remember this time? Share your photos, stories and memories via email to RSCmemories@riosalado.edu or social media using the hashtag #RioSaladoCollege40th. Student Success Tips for Rio Waves! 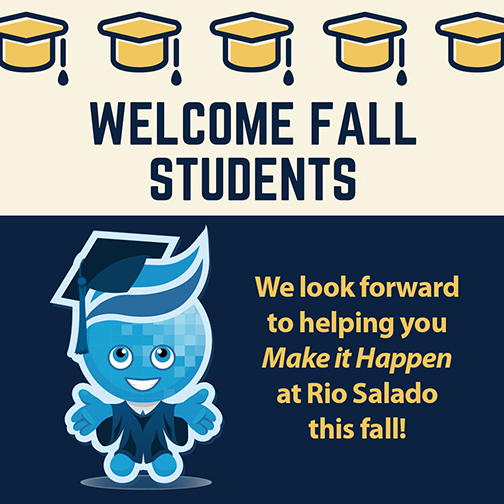 This is the time of year when many new students begin their educational journey at Rio Salado College. A warm welcome to all of the new and returning Rio Waves here in Tempe, Arizona and all across the globe! We look forward to helping you achieve academic excellence this fall! Understand Rio Salado’s unique Block Calendar system and Satisfactory Academic Progress guidelines. 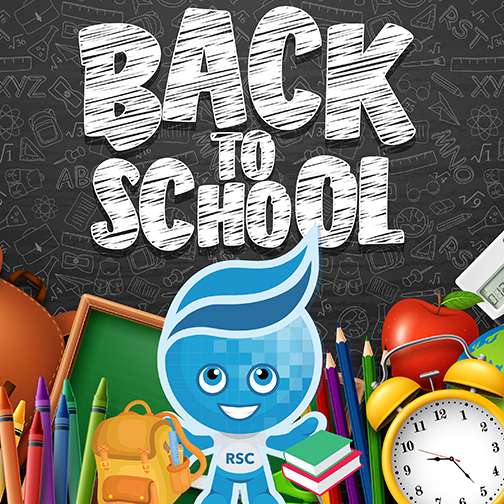 Get familiar with and log into RioLearn, RioCompass and My.Maricopa.edu frequently. Understand how the Instructional Helpdesk team can help you with your coursework and problem-solving. Read your class syllabus and understand your responsibilities. Reach out to your instructor if you need help. Get involved in student life activities. 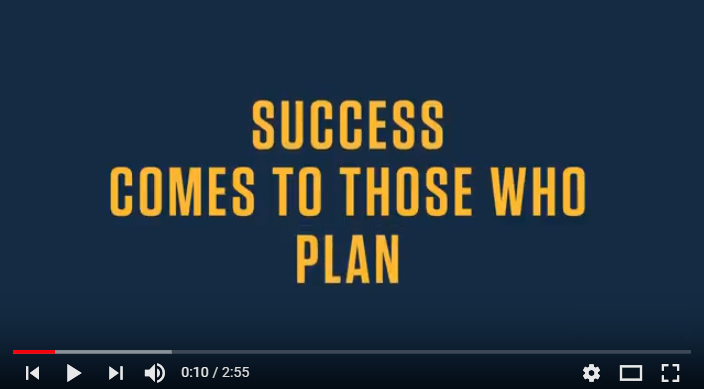 Check out these student success videos on our YouTube channel for additional tips! New to Rio Salado? 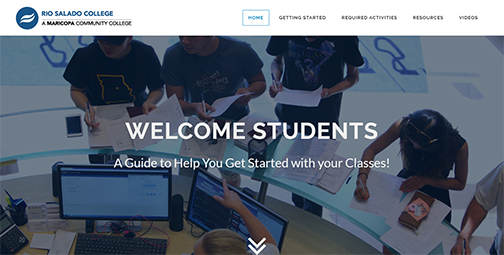 Check out our online guide for new students! 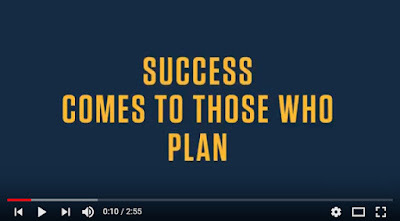 It’s a step-by-step blueprint that will provide you with a plan for success! 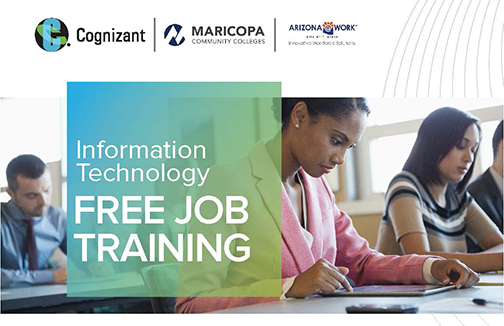 Join the Maricopa Corporate College (MCOR) and Cognizant Technology Solutions for a free information session on Aug. 9 to learn how you can take advantage of free Software Support training that will begin Aug. 20! This training will help elevate your knowledge, experience and skills to teach you how to work across dynamic software, manage business solutions and improve business efficiencies as a consultant and engineer. Upon successful completion of this program, participants will earn a guaranteed interview with Cognizant Technology Solutions.